Fire is a natural part of a healthy ecosystem. 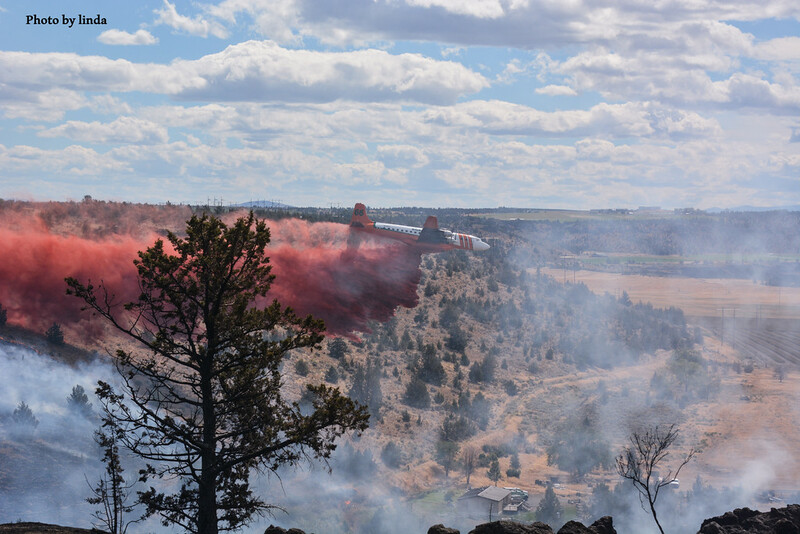 Wildfires are a common occurrence in Central Oregon due to our high summer temperatures, low precipitation and humidity and numerous lightning strikes. however, high intensity or large wildfires can result in significant increases in runoff and erosion, which can negatively impact water quality. Due to the urban interface, fire suppression is common practice. This is important when saving life and property but it does not make for healthy natural areas. 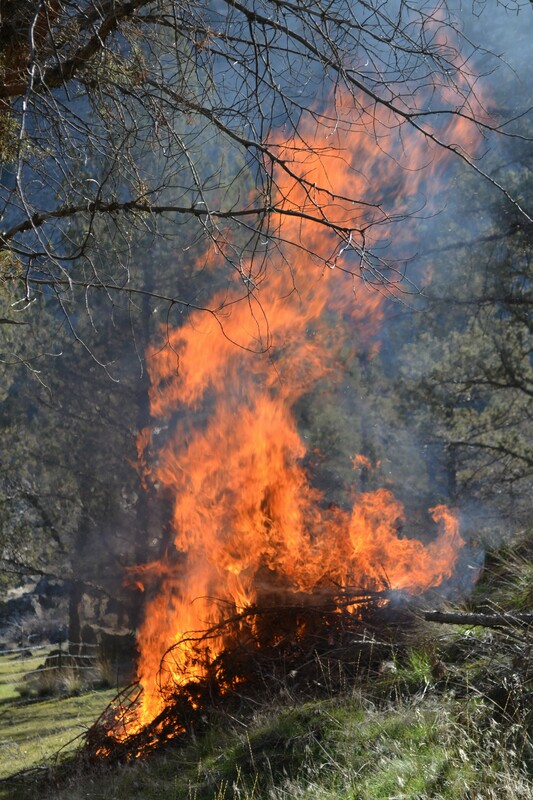 Park officials deal with vegetation management by thinning and burning. 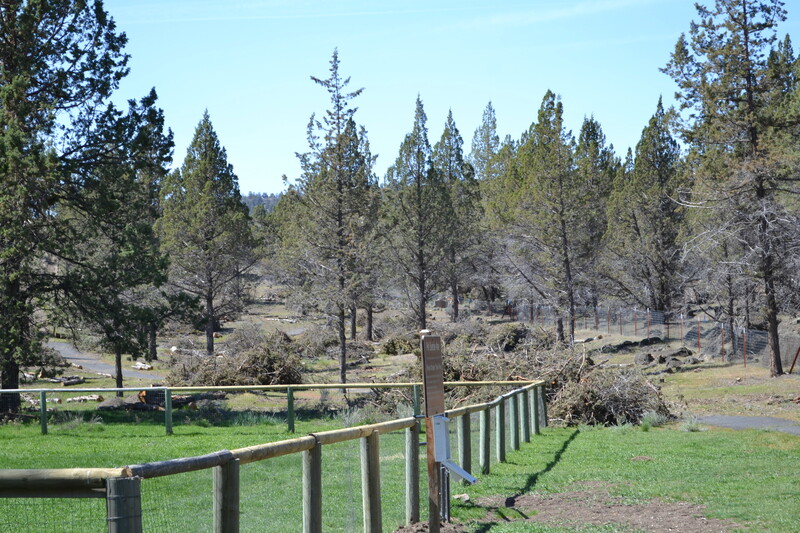 Last year, a contractor was hired to thin some of the Juniper trees in the Deschutes Campground and Day-Use areas to lessen the potential effects of wildfire in the park. (Wood from this project was donated to local senior citizens that needed it for winter). You may have seen piles of cut branches in the park over the summer in 2014. 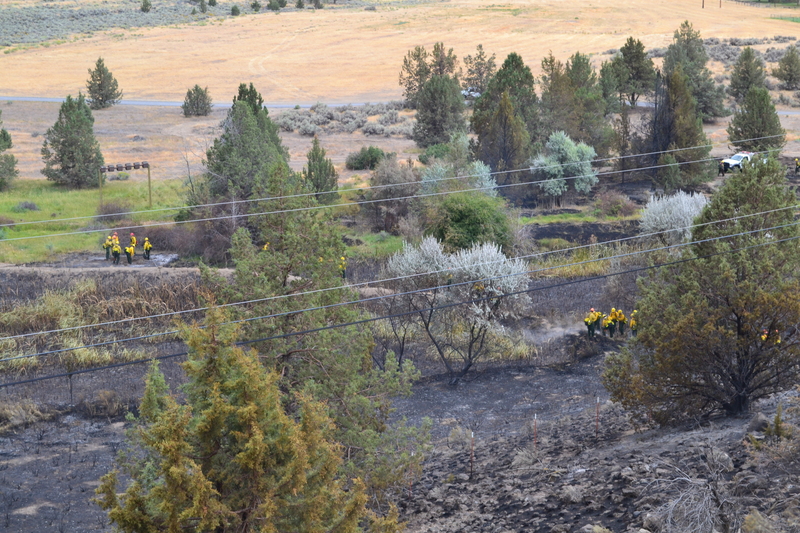 Ranger Supervisor, Chris Gerdes stands watch over a controlled burn near the Deschutes Campground. While some of the piles were left in place for erosion control and wildlife habitat; other areas were carefully burned over the winter and early spring of 2015. The Cove Palisades State Park and Marina is Open. 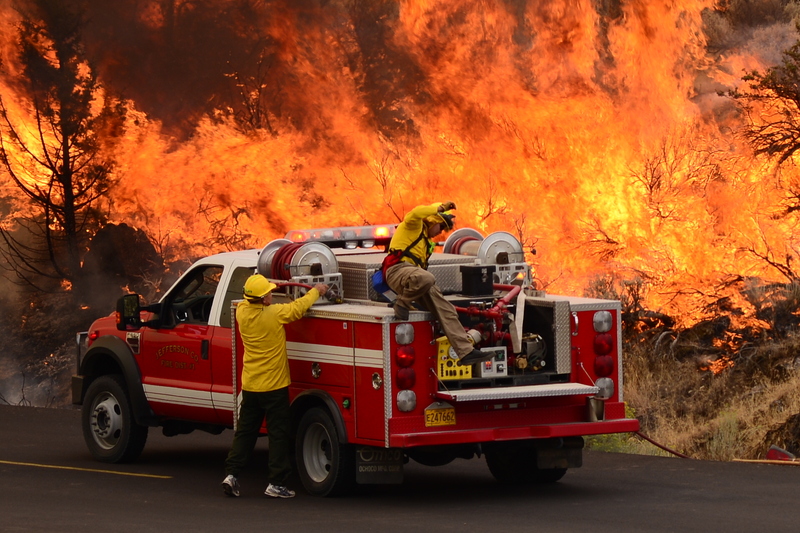 The west is prime for a busy and deadly fire season this year; and Oregon is no exception. The snow pack from this winter is well below average in many areas and several counties within Central Oregon District have declared drought emergencies. Precipitation over the last 90 days has been near or below average, and warm, dry weather is expected to continue. As a result we are quickly approaching high fire danger levels when a fire that starts can get big very quickly. 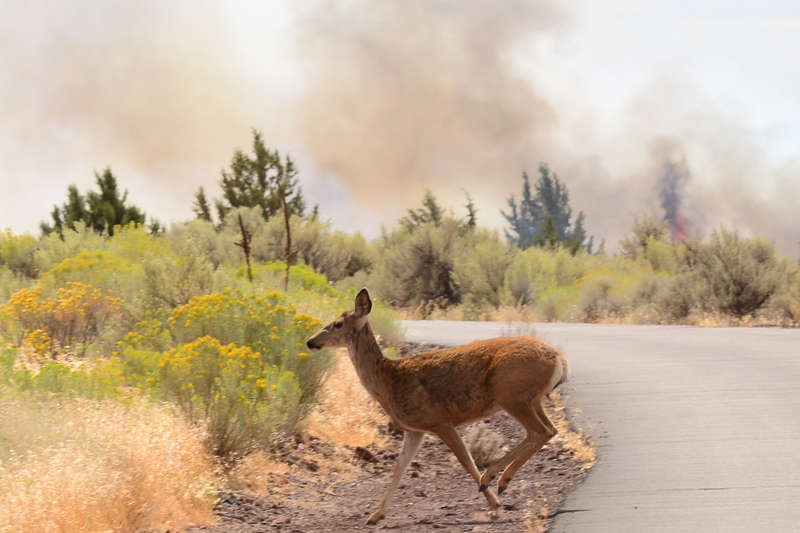 The Oregon Department of Forestry has set Monday, June 9, 2014 as the beginning of wildfire season for Central Oregon, 5 days earlier than last year which turned out to be the worst season on state protected land in 60 years. The number of fires and acres burned isn’t necessarily the best gauge of how bad a fire season can get: Although 2013 saw a record-low number of wildfires nationwide, it was one of the deadliest for firefighters. The U.S. Forest Service says the wildfire season now averages 78 days longer than it did in the mid-1980s. People heading out to recreate on public lands during fire season need to check fire and weather conditions. Checking in advance is a routine precaution that campers should exercise every summer during fire season, if for no other reason than road closures are always possible. Campers need to obey all closures and restrictions, no matter how inconvenient they may be. Be prepared to change your travel plans quickly when the situation warrants. Keep in mind that you may not be able to cook food the way you had planned. 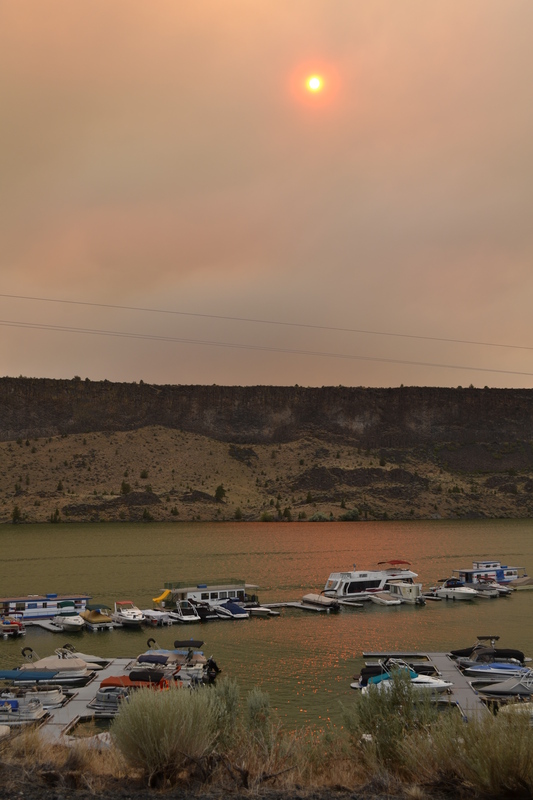 Boaters may find lakes, reservoirs, or rivers closed if fire fighting helicopters need to fill buckets or tanks from the water. 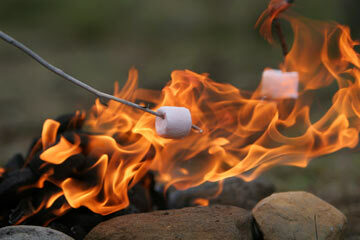 Make small camp fires only in designated fire rings. Make sure all firewood is inside your fire ring, no limbs hanging out of the sides. Educate young campers not to play with fire or run around with burning sticks. Do not add gasoline, diesel or lighter fluid to get a wood fire started. When you leave, make sure your fire is dead out – mix with water or dirt – if it’s too hot to put your hand over, it’s not out. If conditions are unsafe, do not light a campfire. Make sure you charcoal BBQ’s are on a firm, flat, surface. Do not dump hot coals in garbage cans or in vegetation areas. Use caution if you have to park in or next to dried grass. Do not smoke on trails. 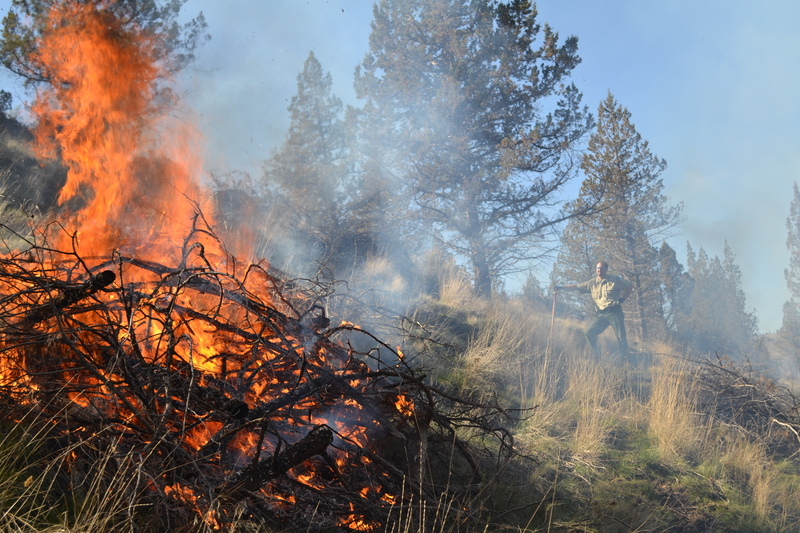 Oregon residents are strongly encouraged to contact their local fire protection agencies for additional burning information and specifics regarding any regulations on the use of chain saws, warming fires, BBQs or ATVs.